The target group for participation in the Interdisciplinary Joint Master’s Programme in South-Eastern European Studies are highly qualified and motivated students interested in the area of South-Eastern Europe. Moreover, they should be willing to analyse and evaluate complex processes from an interdisciplinary perspective. Any student who is interested in enrolling in the master’s programme has to go through a selection procedure. The Selection Committee, consisting of one representative per consortium partner and one student representative, plays a key role in that procedure. The deadline for submitting applications is announced each year on the programme website. Admission to the home university for successful applicants is a separate process according to the local procedures for enrolment. Students begin their studies at the start of the following academic year. 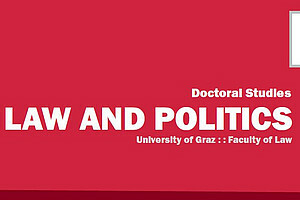 The Interdisciplinary Joint Master’s Programme in South-Eastern European Studies welcomes individuals holding an academic degree of at least 180 ECTS credits (bachelor’s degree or equivalent programme of at least 180 ECTS) who can demonstrate their basic knowledge of social sciences or humanities, in either law, political, social, cultural or economic sciences, and who have a general insight into the subject of South-Eastern Europe. proof of proficiency in English language. As large parts of the programme (in particular all compulsory subjects) are conducted in English, the Selection Committee requires proof of the applicant’s proficiency in English. The applicant must submit an original and recent certificate of a IELTS (required minimum score: 6.0), a TOEFL (required minimum score: 210 on the computerized test, 547 on the paper test, 78 on the Internet test), a Cambridge Exam (required level: FCE) or an equivalent certificate. Students with a test after the deadline for application but before the date of admission can be conditionally accepted to the programme. Alternatively, an interview can be organized to test the language knowledge. Applicants who are English native speakers and those who successfully completed an English-taught bachelor programme do not have to undergo a test. Successful candidates will be offered a place at a home university during the summer months (beginning in July). Students who accept this offer and wish to enroll at their chosen university are required to register according to the practice of the institution and its state rules (i.e. according to the Austrian, Croatian, Serbian or Macedonian system). Students shall remain registered at this home university for the duration of their two year studies, including the mobility periods at partner universities. Assistance will be given to students by the partner institutions to ensure the registration process goes as smoothly as possible. Tuition fees are waived for Austrian/EU students. Tuition costs approximately €745 per semester for citizens of other states but can usually be fully refunded upon successful completion of each semester for citizens of Albania, Belarus Bosnia-Herzegovina, Kosovo, Macedonia, Moldova, Montenegro, Serbia, Turkey, and Ukraine. Please note: unfortunately the MA programme is not in a position to offer financial assistance but we encourage students to seek external sources of funding where available.